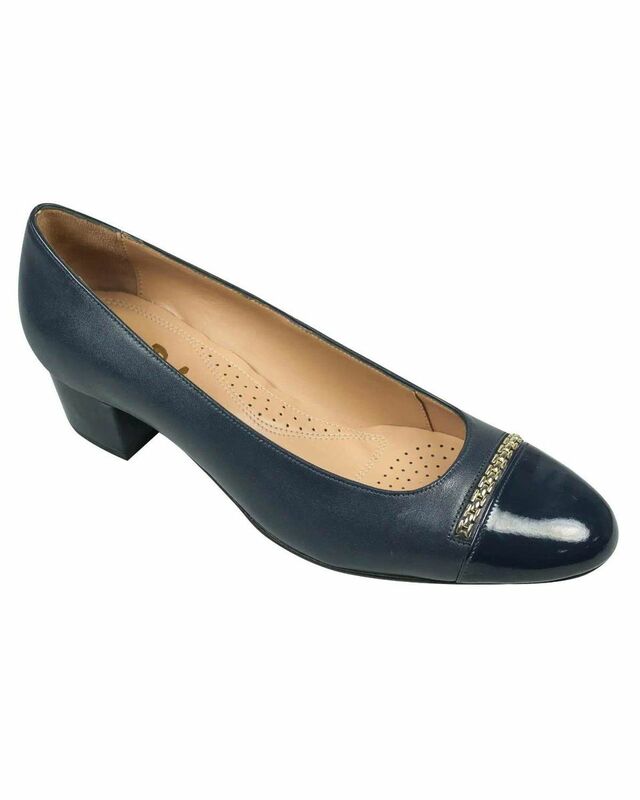 Elegant leather shoe with timeless contrasting patent toe and decorative trim to front. 1½” heel. D fitting. Navy.